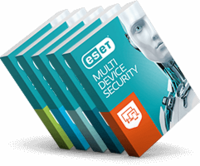 With ESET Shared Local Cache and the protection of an ESET security product, one of which must be present on each virtual machine, you get the same full set of tools and security features that you would have in a physical environment, plus significantly boosted scanning speed. Virtual machines commonly share the same base image, which results in 70-80% duplication of files between machines. ESET Shared Local Cache saves metadata about clean files from previously scanned machines. When a scan is performed on other machines, ESET Shared Local Cache compares the files’ metadata with the metadata of those that have already been stored and automatically skips previously whitelisted clean files. Whenever a new, previously un-scanned file is found, it’s automatically added to the cache. This means that files already scanned on one virtual machine are not repeatedly scanned on other virtual machines within the same virtual environment, resulting in a significant scanning boost. As communication happens over the same physical hardware, there is practically no delay in scanning, resulting in considerable resource savings. ESET Shared Local Cache is a resource-effective solution for virtual environments. Caching supports both on-access and on-demand scans, resulting in even better performance.